The debate between which wheel size is best continues to live on. Which side have you chosen? 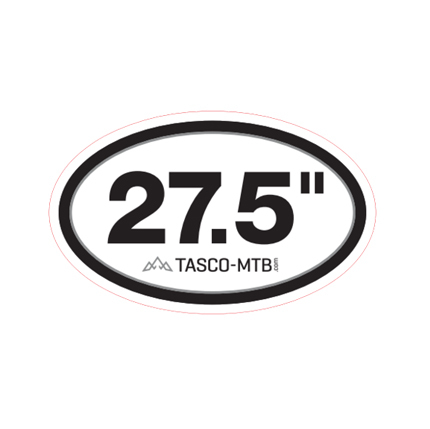 Are you team 27.5"? Maybe you're a 29er kinda rider. Perhaps you're tearing up the trails on a 26" mountain bike. Which every side you've chosen, you need to make sure other riders know which wheel size you think is best. 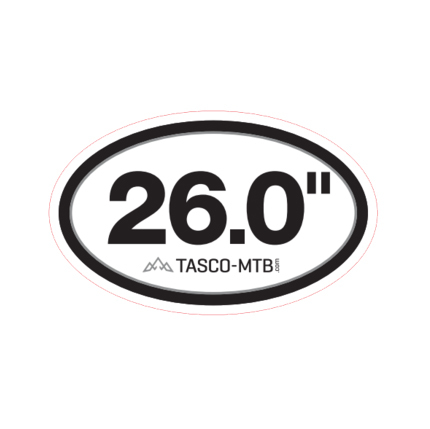 The Tasco Wheel Size Stickers allow riders to display their preferred wheel size proudly on the back window of their window. It is a 3x5" oval sticker. Don't let riders assume you're on a 29er, let them know you proudly ride 27.5" wheels. Chromag Sticker Pack Beast-up your ride, car, or cube with a few Chromag decals. The Chromag sticker pack includes 14 stickers (black, white, chrome, orange, green, red, and blue). Standard Chromag bear logo stickers and Chromag font stickers.